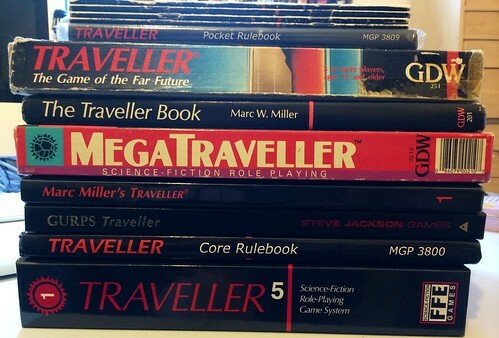 Almost certainly 'Traveller'. Mind, I’ll be in my sixties and may be looking for that gaming retirement home. I love SF, always have. 'Traveller' epitomises that for me and is meshed to the books that I grew up loving after I discovered Andre Norton at my local library, and then E.E. ‘Doc’ Smith, Arthur C Clarke (not ‘Sir’ then) and Isaac Azimov on my father’s bookshelves. Incidentally, if you love SF, then I commend Jo Walton’s 'Among Others' to you as a novel that will remind you of how you discovered the genre.